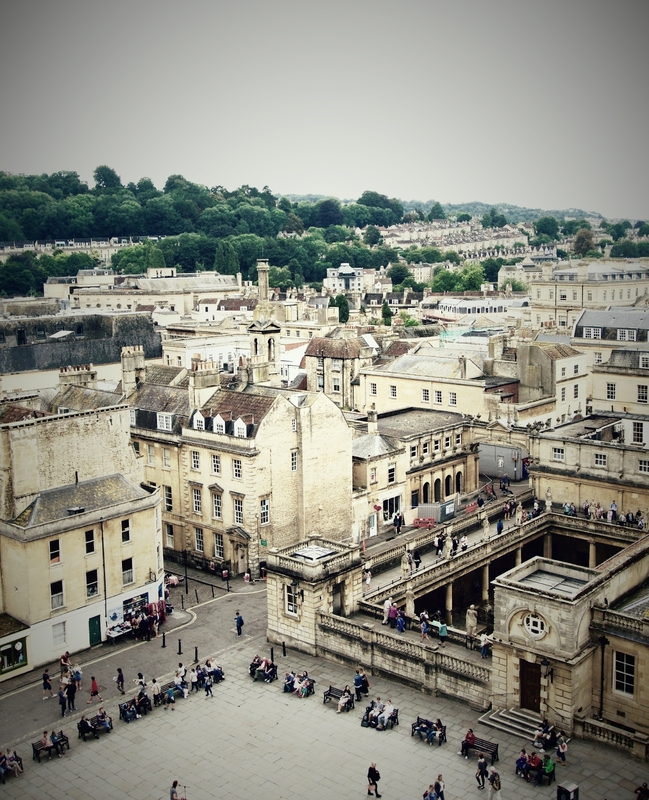 Back in August, myself and my friend hopped on a train down to the gorgeous city of Bath, for a short week of sightseeing, socialising, and relaxation. Bath has been way up there on my list of cities to visit for a long time and I am so happy that I've finally experienced what it has to offer. Whilst we did factor in a lot of different things for the four days we were there, we definitely didn't get around to seeing/doing everything we wanted to, for instance I would've loved to have had a look around the university, visit the famous Bath Thermae Spa, and also experience more of the night-time entertainment had we visited on a weekend. This gives me an excuse to go back and visit again some time in the future though which I'm definitely not complaining about. Bath has quickly become one of the places I would consider myself settling down in the future, so I thought today I would share ten of my favourite things we experienced on our short visit! VISIT THE ROMAN BATHS (+ EAT IN THE PUMP ROOM) - This is probably number one on the sightseeing list for anyone visiting the city of Bath as it's a very famous historical site and well worth a few hours of your time. I learnt a lot during my visit to the Baths and had a lot of fun exploring the museum, getting involved with the interactive aspects of the site, and tasting the natural spa water. We also spent an evening having dinner at the Pump Room, the restaurant attached to the Baths, which was so lovely. The food was incredible, the service was perfect, and they had a pianist playing throughout your meal which made the experience even more enjoyable. GUIDED TOUR OF THE ABBEY TOWER - This was one of my favourite things we did on our city break! The abbey itself is beautiful, and roughly every half hour they do a guided tour up the tower, which involves climbing a lot of very steep stairs, but also getting to see the mechanics of the clock and the view from the top of the tower *see the first image*. It was such an interesting, and surprisingly funny experience and I would definitely do it again! ICE-CREAM IN PARADE GARDENS - Bath is one of the most picturesque cities I've ever visited, and I absolutely loved relaxing in one of the many gardens they have spaced throughout the city. Parade Gardens costs £1 to enter, which allows them to maintain the gardens and allows you to use the deck chairs they provide. We got ourselves some homemade ice-cream and spent the afternoon having a lazy walk around the gardens and admiring the very beautiful scenery. VISIT THE ASTRONOMY MUSEUM - This museum is all about the lives and work of William and Caroline Herschel, and is actually based in their old house so it's quite easy to miss! This wasn't on our original list of sites to see but we stumbled across it when looking up things to do on a day when the weather wasn't on our side and I loved it. They had a 'women in space' exhibition on when we visited which was very up my street and having always had a fascination with astronomy I was very happy exploring their old workshop and equipment! BATH ON THE BEACH - We had absolutely no idea what this was or what it involved when we visited the city, but it was in the guidebook left inside our apartment so on a day when the sun was shining we went to check it out and it was so much fun. Bath basically put together an outdoor entertainment venue, with mini-golf, ping pong, volleyball, boules, tennis and more. They had hammocks and seating spaced around the 'beach', and a bar serving food and drink and playing a range of Jamaican music. I highly recommend an afternoon spent here! A PICNIC AT THE ROYAL CRESCENT - Okay so we never actually managed to do this as it was raining on the day we visited, but we did have a visit to the Royal Crescent and it looks like the perfect spot for a picnic. It's probably the number one spot people associate with Bath and I can definitely see why. The houses are beautiful and I can only imagine what it must be like to live there! SHOPPING IN THE CITY CENTRE - All of the shops in Bath town centre are built into old buildings that just make the entire area look beautiful and because Bath is pretty much surrounded by hills the views you get when you're just casually walking around is insane. We also discovered a stationary shop called Typo whilst we were there, which I'm very frustrated we don't have in Manchester, and had tea and cake in a gorgeous bakery called Sweet Little Thing! 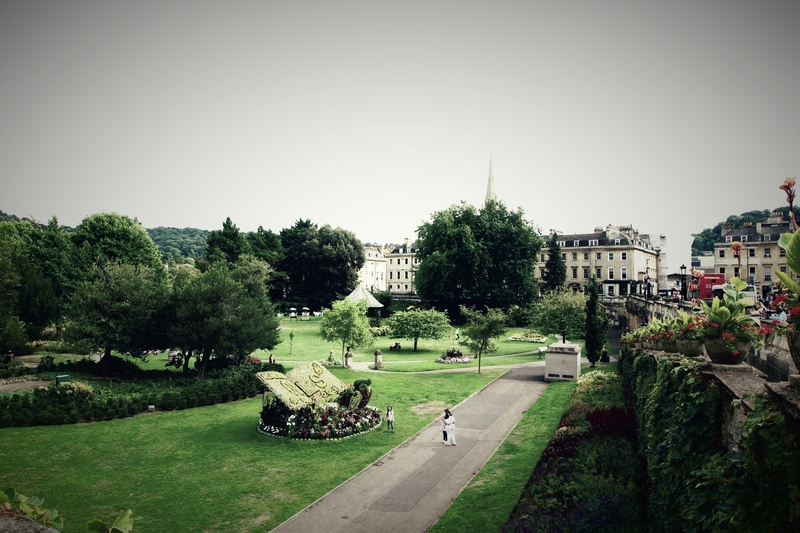 WALK OVER PULTENEY BRIDGE - And go to the Parade Gardens and snap a picture off it from there. I was unaware of this when we visited, but Pulteney Bridge is where they filmed Javert's Suicide in Les Miserables which I found very cool. You could also carry on over the bridge and walk down Great Pulteney Street which, similar to Royal Crescent, is insanely beautiful. The houses, the views, the street itself - I want to live there! VISIT THE JANE AUSTEN CENTRE - If you're at all interested in Jane Austen, you need to visit this centre. It's full of information and collectibles from her life time and you can even have a bit of a play with some regency fashion. My favourite bit was the 'quill and ink' section - I don't particularly want to go back to using a normal pen! STROLL AROUND THE BOTANICAL GARDENS - Unfortunately for us it was throwing it down when we visited the Botanical Gardens, but they were nevertheless beautiful and I can only imagine what it would be like to spend a day in the sunshine there. I would definitely recommend a stroll, or maybe taking a book and settling down on one of the benches for lovely afternoon! Yes, I went to Bath many years ago and I remember very well the Roman bath. Anyway I absolutely loved Bath and funny enough I am planning to go back at some point in the near future. Thanks for a reminder of all the places to see. 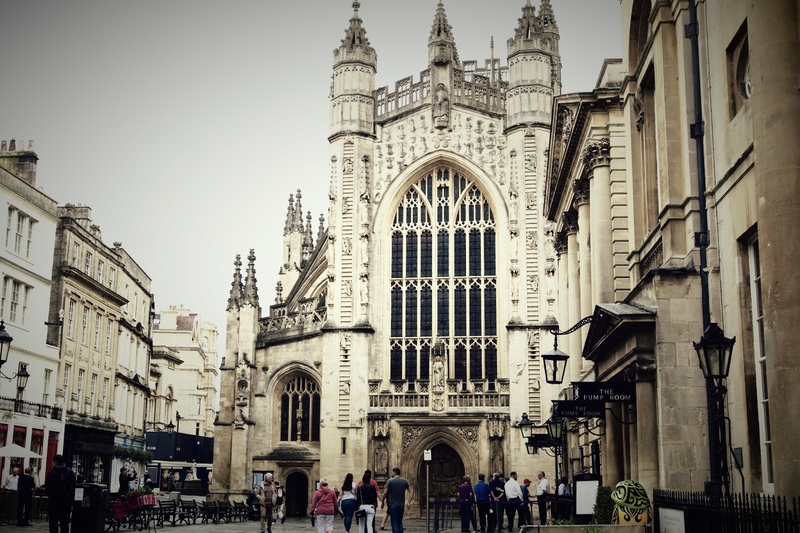 Bath is such a stunning place, there is so much to do and see there! Sounds like a lovely place to visit!